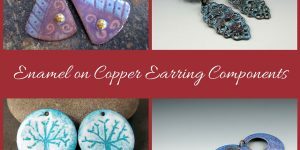 You are here: Home / Jewelry / What is Cloisonne? 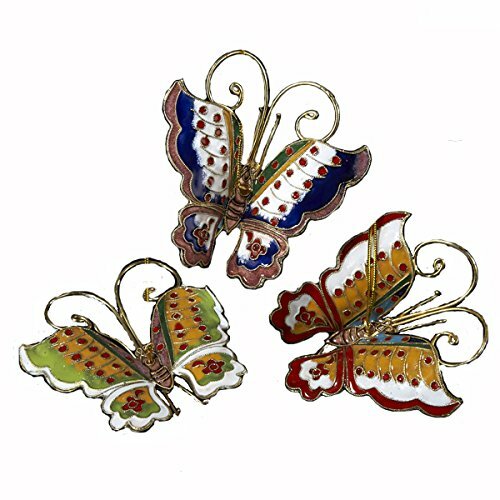 Cloisonne is metal and enamel work that dates back to the middle ages. Here we will be exploring something of the history of cloisonne over the centuries and how different cultures have adapted it to imprint their own character on the art form. 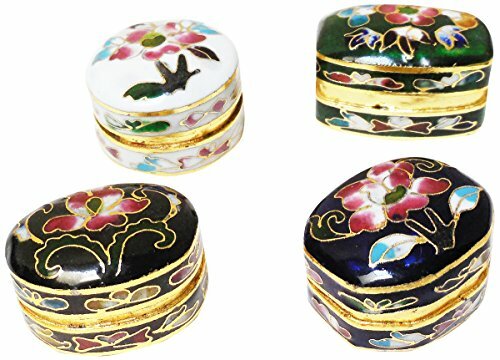 Although cloisonne is produced by artists and artisans throughout the world the two leaders in cloisonne production are China and Japan. 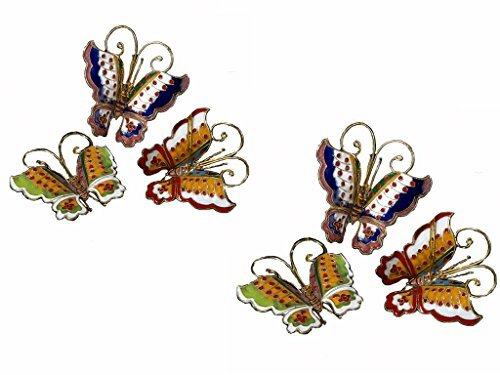 Cloisonne is the art of using metal and enamel to create works of art and jewelry. 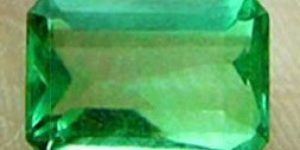 No one is exactly sure who came up with the idea but it is thought it developed essentially as a way to contain melted glass and gems within compartments that created patterns on small items. Small wires were attached to metal objects so they created compartments which are also called cells. The compartments were then filled with crushed glass or gems and the whole fired to melting point. At first the wires were made of gold with powdered gems in between to create the colors. By necessity they were small pieces, some of the earliest ones found were decorative items. Sometimes silver was used and later brass and copper. As the process developed crushed glass and gems was replaced with enamel paste. Some sources wonder if the wires were removed after the pieces were fired but later left in as an integral part of the pattern because of the attractive effect it created. 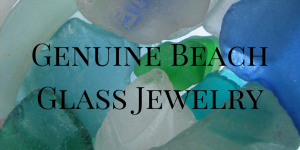 Because enamel or crushed glass shrinks when heated and melted, the process would need to be repeated to fill the cells and create the optimum pattern effect. 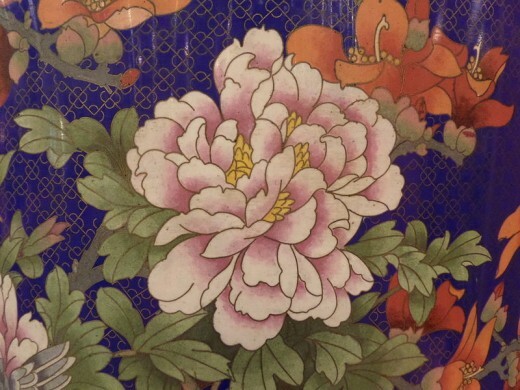 Cloisonné, detail from large vase. Modern. Cloisonné, large decorative plate about 1.2 m diameter. Modern. Depending which sources you believe there appears to be evidence that forms of cloisonne have been around for at least 4000 years. The early dates are based on archaeological finds. 2500 B.C Russia – filigree work in tombs. 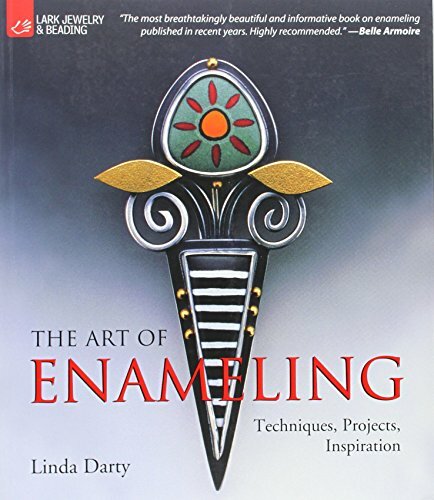 up to 5th century A.D. used in decorating small objects and jewelry throughout Europe especially France, England, Russia and Italy, Egypt, Persia, Turkey, middle east and possibly India. 1360s – the silk trade opened trade routes from the Middle to the Far East especially to China – cloisonne introduced there in the Ming Dynasty. 1450-1457 – during the rule of the Jingtai emporor of China, the blue cloisonne known as ‘Jingtai Lan’ (blue of the Jingtai) became famous. Late 18th century China produced their finest cloisonne ware. 1868 artisan Tsukamoto Kaisuke used the first enamels and copper wire on pottery jars – previously only used on metal objects. 1850- 1911 – Mass exporting from China and to a much lesser degree from Japan, aimed at lucrative overseas market – these pieces were considered to be of inferior quality suitable for foreigners. The higher quality pieces retained internally. 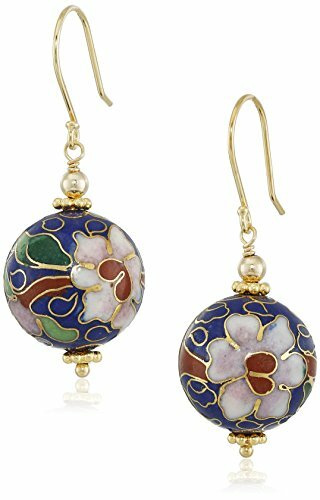 England and America in particular were eager to get their hands on genuine cloisonne pieces. 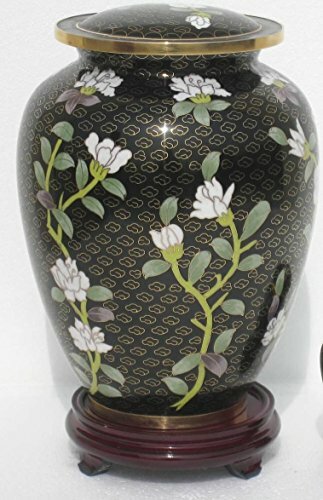 1650-1850 Japan – Japanese borders were deliberately closed to foreigners and foreign trade but a little cloisonne work was done by one family in Japan. The Hirata family headed by Hirata Hikoshiro (Buddhist name = Donin) is thought to have learned the cloisonne process from Dutchmen. The family were based in the ancient capital of Edo now = Kyoto. 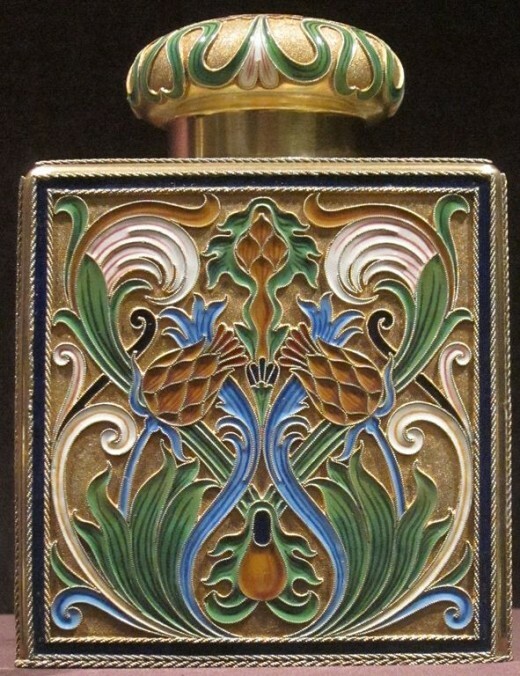 1835 – is thought to be the first creation of cloisonne in Japan in the Nagoya area. 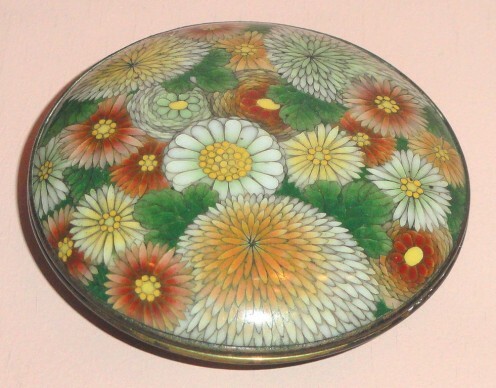 1855-1905 – Japan – early mass production of small cloisonne products were produced in the small village of Toshima, near Nagoya when multiple workshops were set up to create pieces for export. The village became known as Shippo-Mura or the Cloisonne Village, Shippo being the type of Japanese cloisonne made there. 1867 – the Japanese took part in their first international exhibition in Paris, France. 1880 to 1910 – ‘golden age cloisonne’ in Japan. 1880 to 1937 – height of Chinese exporting. 1897 was when the CHINA mark was introduced on all Chinese cloisonne items. 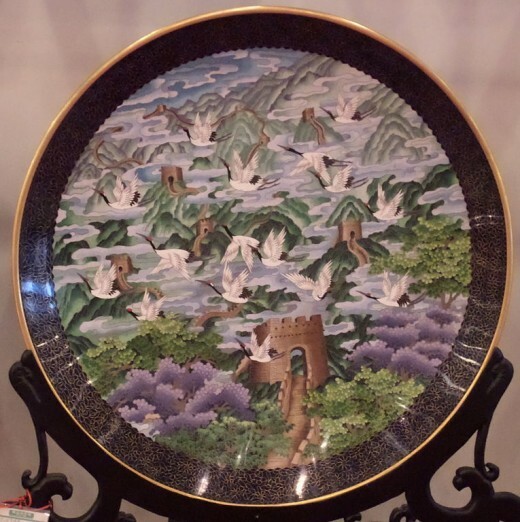 1930-1945 – economic depression and wars saw a curtailment of cloisonne production in both China and Japan. 1950s introduction of some machinery for mass production in both China and Japan. 1960s forward there was a renewed interest in traditional cloisonne wares especially for the tourist industries. 2000> revival in interest in exported cloisonne from China. China is now seeking to collect as much antique and vintage cloisonne that has been exported to detail it’s manufacture and history. Over time and place artisans produced differing designs in cloisonne. The early pieces of Egyptian cloisonne for example show quite clumsy, heavy pieces of metal being used to create the cells while those in Europe were much more slender. Between China and Japan the differences are more in design concepts than in technique although there are difference there too. The China designs did and continue to be quite ornate, with intense pattern of themes taken from and symbolizing nature, mythical creatures and good luck omen. 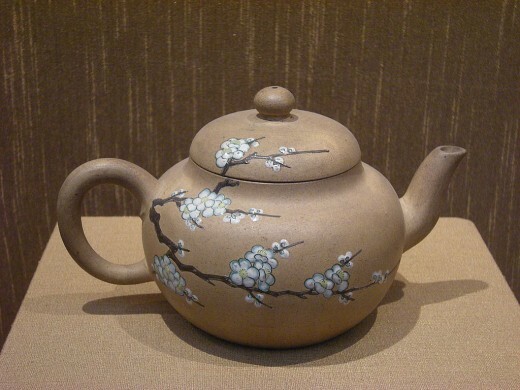 Japanese cloisonne tends to tell a story – to be more pictorial. They are also more likely to use stylized representations although the natural and spiritual world continue to be preferred to abstract design. Both countries did explore abstract designs under the influence of the modernist artist in Europe but largely they continue to be more traditional. Japan is also known for producing wireless cloisonne – the wires being removed after firing. Exhibit in the George Walter Vincent Smith Art Museum, 21 Edwards Street, Springfield, Massachusetts, USA. This item is old enough so that it is in the public domain. The museum permitted photography without restriction. As already mentioned stained glass artwork had a great influence on the development of the first pieces of cloisonne. 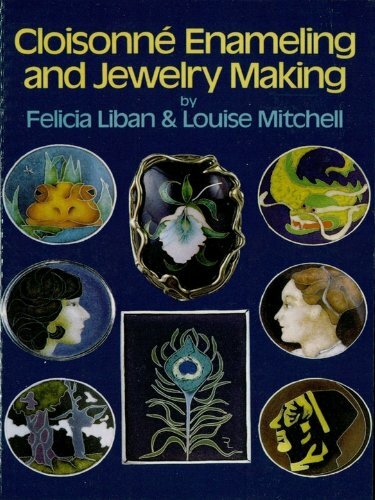 But what inspirations influenced cloisonne artisans? Nature! For many Oriental cultures who lead the world in cloisonne art, nature is the over-riding influence. For them everything in nature, even a rock, is imbued with energy, with spirit, which gives it much more of a spiritual meaning than we in west are used to. So when you see the depiction of a flower or a bird in Oriental art, it will hold more meanings and portents than simply a representation. Both cultures also are keen on mythology and symbolism using figures, omens and portents of good fortune. If this aspect appeals to you go to –> Nature in Chinese Art and Early Japanese Art. In Chinese culture the dragon and the phoenix are often depicted on gifts – together they symbolize harmony: the male dragon represents yang energy and the female phoenix the yin energy. Given as a gift they wish the receiver auspicious good fortune. 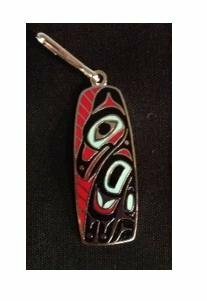 These are often given for weddings and anniversaries since they represent harmony and good marriage. If you would like to explore this topic in more depth try these resources. 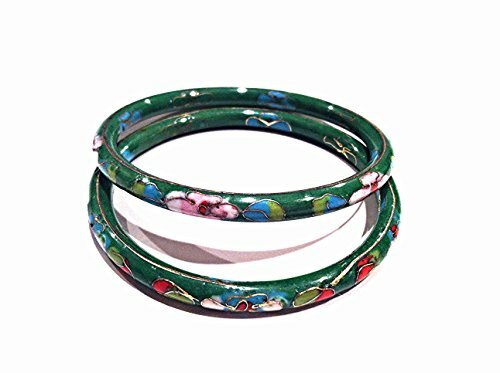 Chinese Cloisonne is originated in Beijing and is an art of applying colored enamels to the surface of a metal object and then fired to become a beautiful work of art.